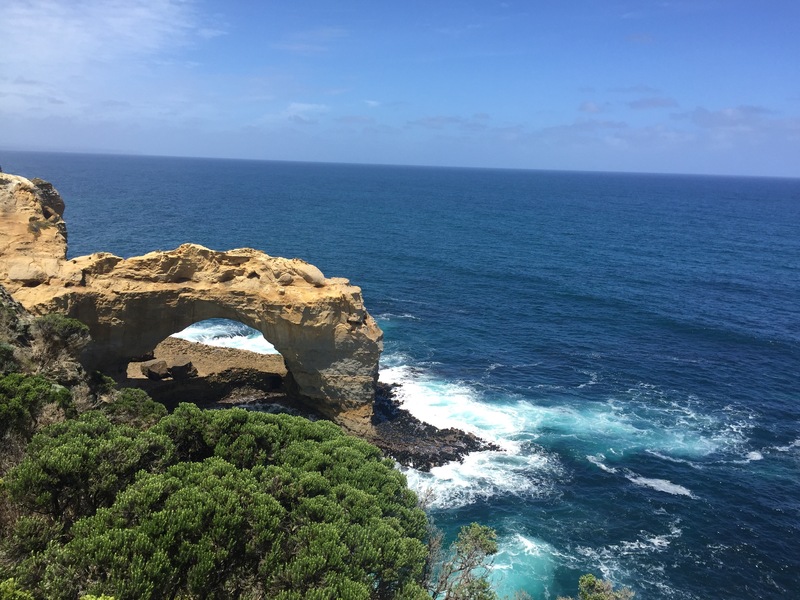 The main things to see on the Great Ocean Road can be done in a day (a few hours if you were in a hurry) so we left Warrnambool and headed onto the Great Ocean Road at around 10ish (the road is actually called that and runs all along the coastline). We wanted to make sure we saw everything so turned off and parked at every sign. 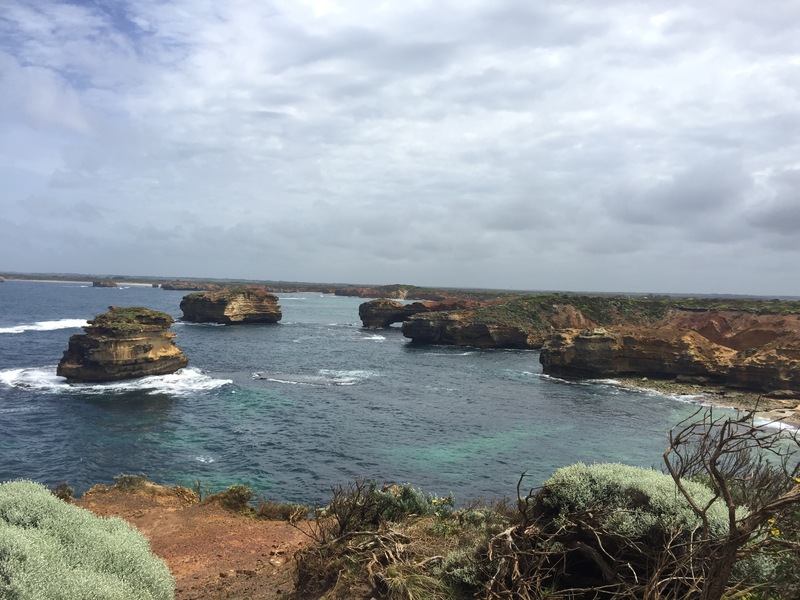 Everything you need to see is signposted really well and there are also places that just show you great views of the coastline so it’s a lovely drive. 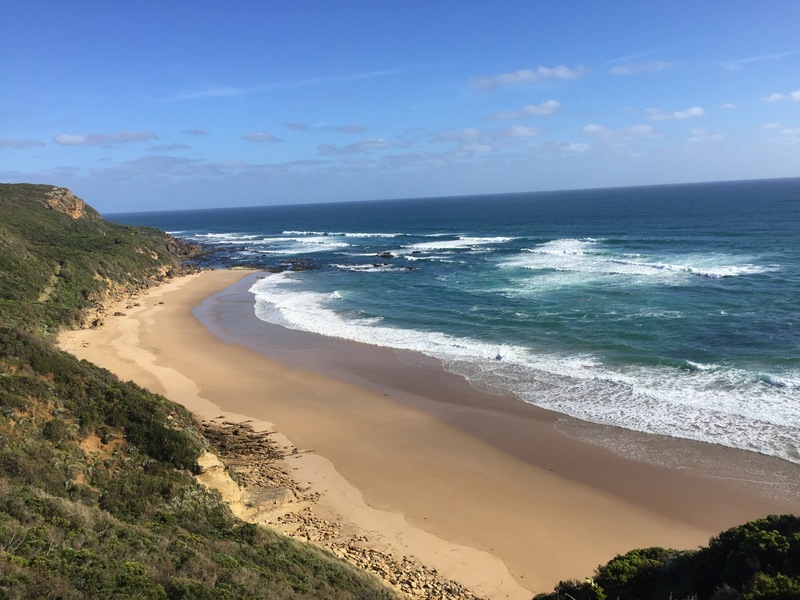 When we woke up it was raining so we were a little worried we’d be driving the Great Ocean Road with grey skies but, thankfully, at our first stop the skies cleared and we had beautiful blue skies for the rest of the day. As it was mainly spectacular things to see, this will mainly be a photo post with some explanations or points of interest – enjoy the views! London Bridge (apparently one day this will fall into the sea and become another apostle like structure). The Arches: maybe this was what the London Bridge once looked like. We also saw a bandicoot whilst doing the walk to this point too which was exciting. 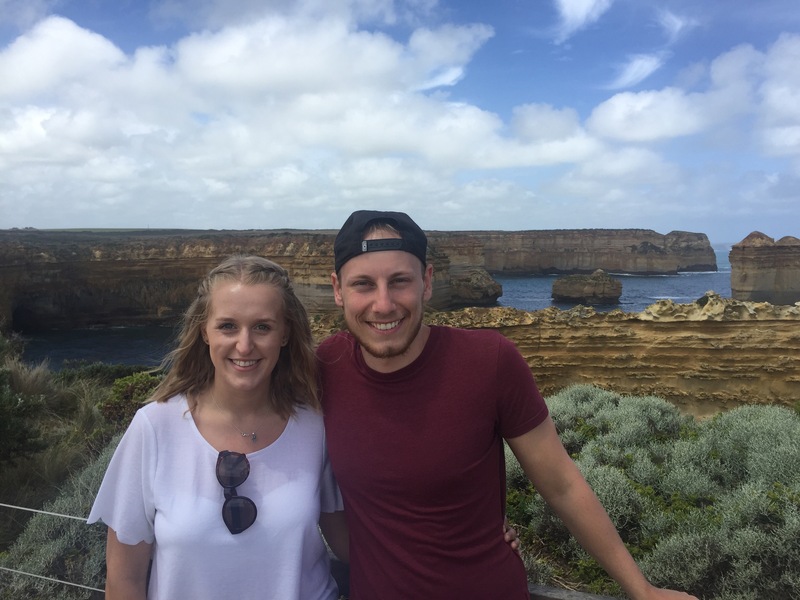 Although I don’t have any pictures of it, we stoppped off at Port Campbell which is a small settlement along the Great Ocean Road with a port built to provide a safe place for visitors to port along the coastline. Thunder Cave (it’s called this because of the sound the waves make when crashing inside the cave). 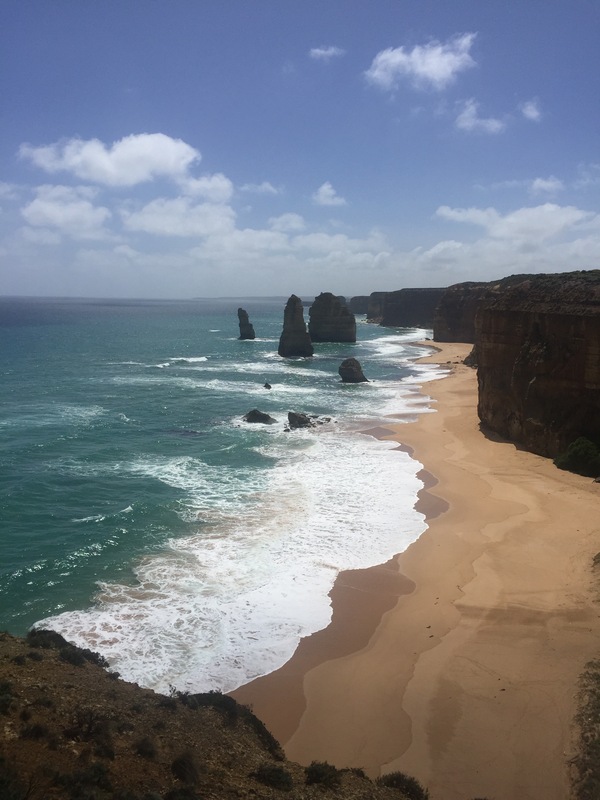 12 Apostles: this was a lot busier than the other stops along the Great Ocean Road. 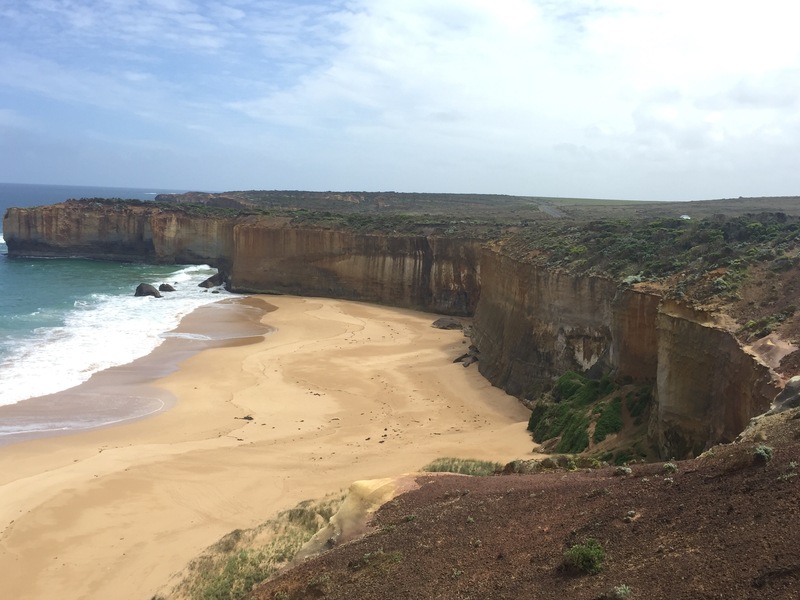 Although it is more famous, we didn’t think it was as impressive as the Loch Ard Gorge, although, of course it is still spectacular. 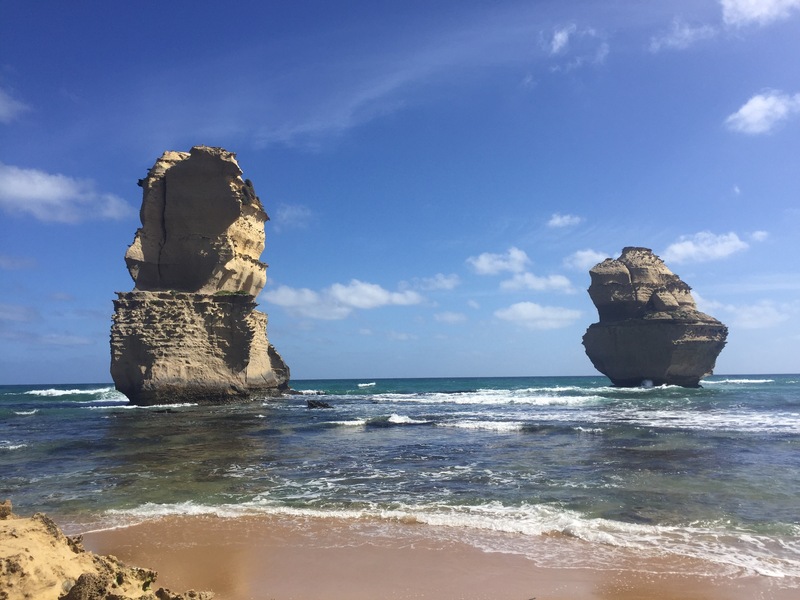 Gibson Steps: these were steps going down the face of the cliff onto a beautiful secluded beach which lined two of the Apostles so you could see them really up close. 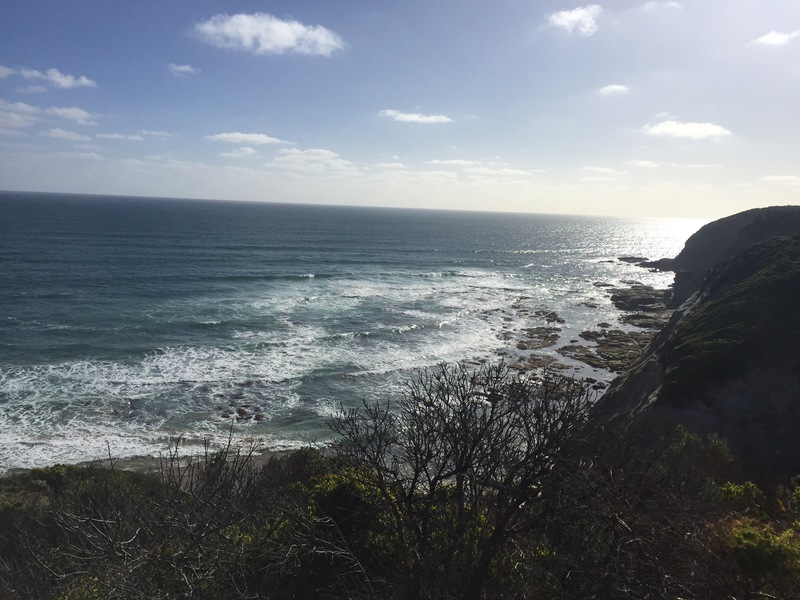 Cape Otway: we came here to see a lighthouse but the place was closed. This didn’t matter though because all along the road there were koalas in the trees as well as a wallaby that was about to cross the road. The wallaby was much smaller than a kangaroo and was a really dark brown with a ginger belly. On our way back from the Cape we saw a huge colony of kangaroos. There were around 20-30 of them all in a huge field. We saw a mum with a joey in her pouch as well as two young kangaroos fighting which was very funny. I don’t think this day could have been any better. 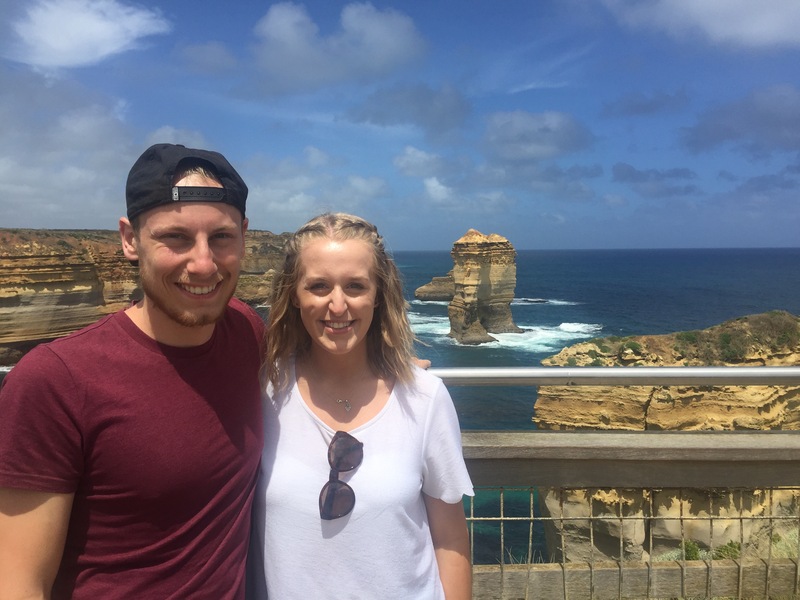 The weather cleared for us, we saw some amazing scenery and were able to be very close to kangaroos and koalas – it was a perfect day and one of my favourites from our trip so far!